Everything's pointing toward Apple following up the iPhone 6 Plus phablet with an iPhone 6S Plus. Chinese site Feng has spoken with sources familiar to Apple's supply chain and has found the screen resolutions on the 6S Plus is set for a serious upgrade. 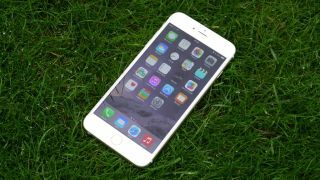 The sources claim the standard iPhone 6S is set to stick with the 4.7-inch Full HD resolution screen while the iPhone 6S Plus will have a 5.5-inch display that's now in 2K. That's a big ask of an iPhone and having such a high resolution display suggests there may be some serious issues with battery life. The site also found that both iPhone 6S models will feature Force Touch, a rumour we've heard before, and the cheapest versions will start off on 32GB. No word on the rest of the storage options, but we've rounded up a few other iPhone 6S rumours here.